Car Audio, Installation tips, tricks and how to's, everything to do with car electronics, including: car audio/video, alarm systems, keyless entry, remote start systems and integrated hands free devices. 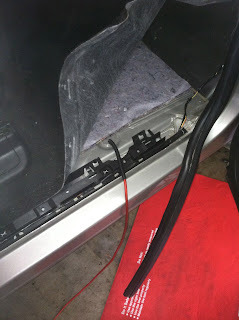 This is a quick overview of an amp and sub install I did in a newer GMC Sierra (2009). The process should be the same, if not really similar for the newer Chevy Silverado. We kept the factory stereo intact, so we tapped into the factory sub for hi level. A quick and easy way to run the main power wire: Near the battery, drop the power wire down and to the rear of the truck. 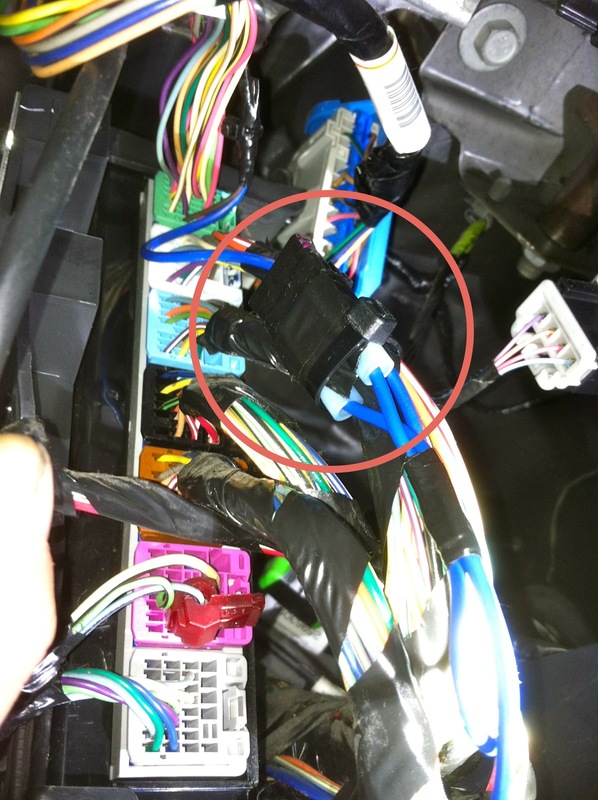 Loom the wire and zip tie it away from any hot and or moving parts. There should be a small plastic grommet on the front passenger side, near the door sill. Under the plastic side covers, near the edge of the carpet you should be able to locate the grommet and drill a small hole to pull the main power wire through. You will want to make sure you seal the hole with silicone once the power wire is ran through. If you remove the the cup holders from the center consol, you should be able to get to locate factory sub wiring. 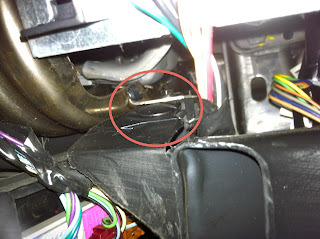 The cup holders should be able to be removed with a panel removal tool, and is normally held into place with retainer clips. There will be two pairs of wires, because the factory sub is a dual voice coil. The first voice coil wires: (+ D.Blue~White / - L. Green Black) the second voice coil: (+ D.Green / - L.Blue~Black). If the wiring is different and you can't determine the positive and negative of each voice coil, just tap into one voice coil for your hi level input. When I add an aftermarket amp/sub, like I did in this GMC Sierra I normally disconnect the factory sub. One of the easiest places to grab your amp turn on wire in these trucks will be under the steering column. You will notice a black plastic A/C duct. On the side, you will want to remove the plastic fastener holding the duct in place. 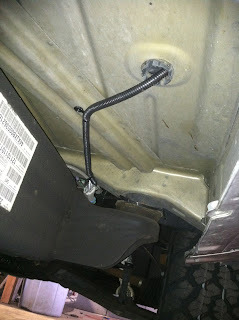 Once the fastener is removed pull the plastic A/C duct out of the way. On the left hand side you should see about six harnesses lined up running vertically. 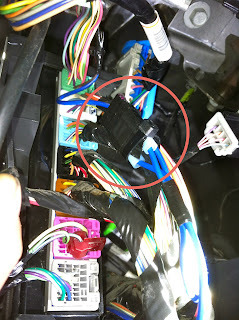 In the top green harness there should be a Brown wire, that should be your switched "Accessory" wire. You can use this wire to power on your amp. 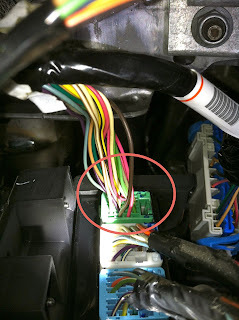 You should always test your wires with a digital muti-meter before connecting anything. 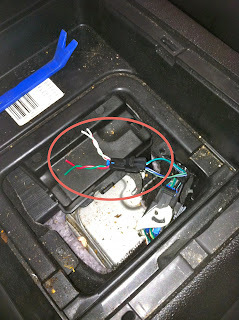 Once you tap into the "Accessory" wire , I recommend fusing the new amp turn on wire just incase it becomes shorted. 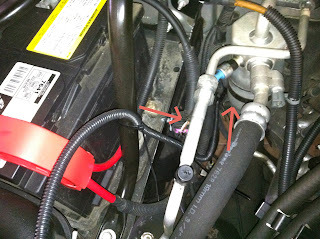 I normally put a 1AMP fuse inline. That's pretty much it, all that's left is running your wires to the amp location, grounding the amp and wiring up your sub(s). Hope this helps. My son has a GMC Sierra and was talking about how he wanted a new sub. The sub aren't that expensive it's the installation that costs an arm an a leg. I am going to send him this blog and hopefully he can install it himself. This helped a ton! Thanks! 2000-2006 Chevy Tahoe Factory Sub Upgrade, JBL 8 inch. 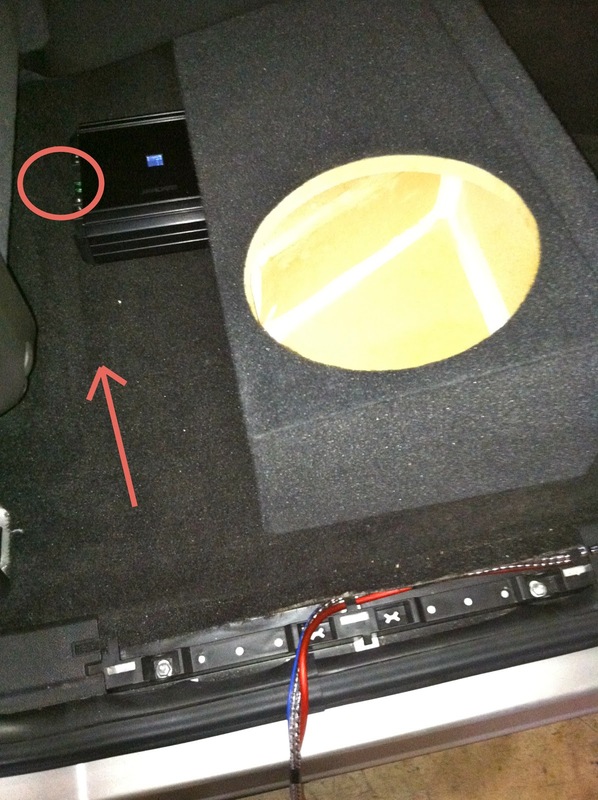 Chevy Sonic 20 Minute Amp Sub Install. 1997-2004 C5 Corvette Double Din/In-Dash Car Stereo Install, Yes It Is Possible! 97-01 Jeep Cherokee Double Din Car Stereo Installation. 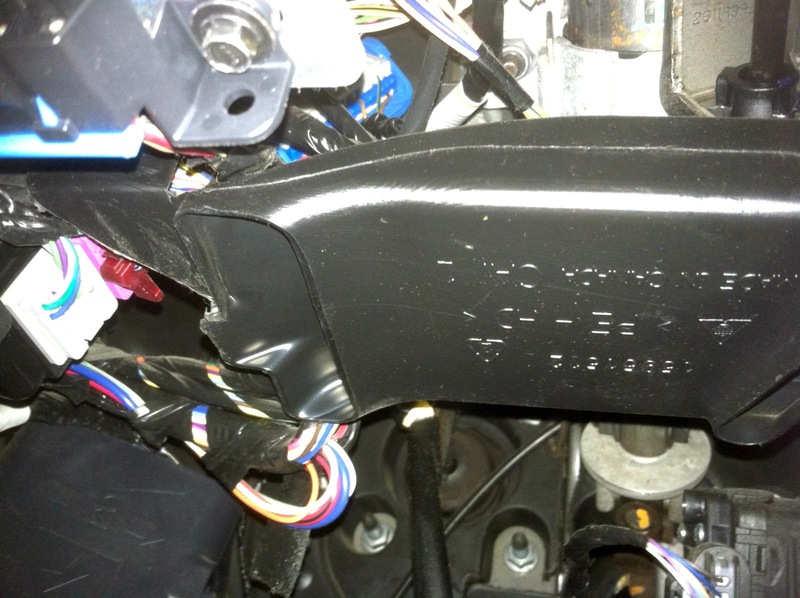 2008-2012 Chevy Malibu RAP wire. Lexus SC Door Panel Removal. 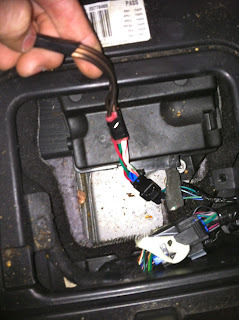 Factory Stereo Wiring Digrams With Harness View! Thanks everyone for the support & taking the time to check out my website! Very much appreciated. Copyright © 2016 CarAudioTips.com - All rights reserved. Powered by Blogger.